(CNS): A local woman from Prospect pleaded not guilty, Friday to possession of an unlicensed firearm in connection with an incident last August near Countryside Shopping Village in Savannah. Julia Lewis has denied the charges and was bailed to appear next Friday in order for attorney’s to find a vacant trial date. Lewis is alleged to have been inside a car with two other men involved in a collision on Shamrock Road close to the shopping centre on Friday 16 August 2013 when a car crashed into a utility pole. Lewis was arrested along with other occupants of the car after the three had allegedly tried to flee. At some point during the incident officers seized a .38 hand gun. (CNS): Police have now charged a second man in connection with a shooting incident on the streets of George Town last Saturday evening during the Batabano Carnival. Although no one was hurt at least one live round, recovered from a tree in the area of Dr Roy’s Drive and Edwards Street, was fired on the crowded street where the carnival parade had passed just a short time before. The second unnamed 26 year old man arrested in connection with the shooting was expected to appear in court on Friday afternoon charged with attempted murder and possession of an unlicensed firearm following his arrest some four days after the incident, on Wednesday. The first man charged was Todd Bowen (29) from Prospect who has also been charged with attempted murder, possession of an unlicensed firearm and the unlawful use of a firearm. Police seized a gun from Bowen’s home which is understood to have been licensed to a member of his family but police have not yet confirmed if this was the weapon used during the street incident. (CNS): The Steering Committee driving the Cayman Islands towards a new policy to ensure that people with disabilities are not discriminated against say they are determined not to let their report end up on a shelf gathering dust like other policy initiatives. So, as well as determining specific goals, they are also outlining detailed action plans, identifying who does what and when and laying out a monetary timeframe for each goal to be accomplished. The Cayman Islands Disability Policy 2014-2033 (because the committee believes it will take two decades to implement it in its entirety) aims to ensure that those with disabilities live with dignity, are respected and have the opportunity to participate fully in society. “This is not just for people with disabilities; it is for all of us because we never know what challenges will face us until they hit us,” according to committee member Shari Smith, Director of the Sunrise Adult Training Centre. The public consultation phase, in which members of the committee gave presentations, listened to feedback and answered questions in all the districts, has now ended and the committee will now compile and analyse the data collected through the meetings as well as the online surveys, Smith said. “The core team will present this information, along with suggestions on whether changes to the actual policy needs to occur, or whether areas have been addressed through the various strategies and action plans, to the Steering Committee for approval on edits and recommendations,” Smith told CNS. At the same time a Cabinet paper on the policy is being drafted and she said the plan is to have recommendations, edits, and the Cabinet paper completed for end of June to submit for Cabinet approval. In addition to the Cabinet paper, the Legal Subcommittee is also working to complete their work on the recommendations and guidelines for the formulation of the National Council for Persons with Disabilities and the Secretariat, which is recommended in the policy, as well as the recommendations for legislation of a Disability Law and recommendations to existing laws to bring in line with the policy and legislation for persons with disabilities, Smith said. The wide-ranging draft policy includes big budget initiatives that may take time, such as a purpose-built training facility in a centralised location for people with disabilities to replace the Sunrise Centre, which has long been identified as inadequate for its purpose, as well as far less costly goals that can be implemented quickly. Quality education for all ages is a primary goal, not just focusing on making sure that suitable curriculums and courses are available and that special needs children and adults are given the right services, but also ensuring that the physical barriers to learning, for example making sure that all government facilities are wheelchair accessible, are eliminated. Because of gaps in rehabilitation and habilitation services, sometimes people have to leave the Cayman Islands in order to receive the services they need so that they can live a more independent life. Currently, the draft document notes, some families are having to split up, so that one parent takes a child with disabilities aboard to get the help they need, while the other parent stays at home with the other children. Another major goal is ensuring that everyone has access to high quality healthcare, including mental health patients. A significant area of concern is health insurance and the draft document outlines a number of issues, including that under the current law, the basic Standard Health Insurance Contract (SHIC) Plan does not cover assistive devices that may be required for persons with disabilities. There is also no one responsible for ensuring full compliance by employers and health insurance providers. Services such as speech and occupational therapy are covered only where medically necessary, and so in many instances these are left to the discretion of the insurance provider rather than the health care practitioner. Equal job opportunities is another major goal, starting with the first challenge: convincing employers to consider them when hiring. 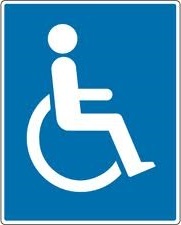 A broad goal to ensure that people with disabilities enjoy their highest level of independence and full inclusion in society, includes appropriate strategies to deal with discrimination and stigmatization, as well as practical matters, such as making government buildings accessible, equal access to public transportation, and making sure that people with disabilities and their caregivers have access to the information they need. Currently the collection, analysis and dissemination of information on persons with disabilities is limited, the draft document notes. Therefore, the committee is proposing a National Register of Persons with Disabilities (NRPWD), which, among its many benefits, would give policy makers a base to prioritise policies and prepare budgets. Constant policy evaluation is a critial part of making sure that this policy document stays current and does not end up on a dusty shelf. Therefore, the National Council for Persons with Disabilities will not only monitor the implementation of the policy and review the results but will also take a proactive approach to adjusting it to keep up with changes to priorities, obligations, expectations, as well as resources. See the draft document below. (CNS): Hundreds of public sector employees have been given permission to hold second jobs or run outside businesses by government bosses. But documents reveal that most of them are not fat cat bureaucrats using their positions to get rich by supplying services back to government but low paid workers toping up inadequate salaries. CNS has received information form almost half of the public authorities based on an open records request from a member of the public seeking details of civil servants with second jobs and outside businesses. The documents show most are working as waiters, janitors, food handlers, security guards, hair dressers, mechanics, taxi drivers or in shops trying to make ends meet. Government has been criticised for what many believe is the employment of thousands of people who do nothing and are getting rich on the back of tax payers. But the reality is many public sector workers are not able to survive on the pay they receive and are working as night club security, food handlers or gas station attendants to supplement their government wages. 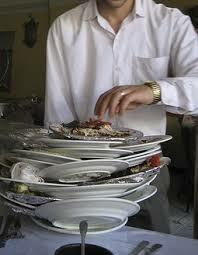 The work being undertaken by government workers outside their civil service roles is extremely varied. Although some appear to be holding lucrative positions as directors of companies or running small businesses supplying services to government, speculation that civil servants are all getting rich via corrupt contracts appears to be the exception rather than the rule according to the documentation released so far. Many public authorities have yet to respond to CNS revealing the answers they supplied to a freedom of information request asking for the number of workers with outside jobs and business and whether they supplied goods and services to the government. But an early review of the responses indicates that although there are hundreds of civil servants working in the private sector many are in low paid jobs or very small enterprises indicating that these are people attempting to top up their low paid jobs in government rather than a means of getting rich. No names have been given in these requests and not all the authorities have supplied the same amount of detail but most roles do not appear to be in conflict. A significant number of the authorities responding so far from the RCIPS to the education department have admitted having several people holding down second jobs or running a business while also working their day job and most don’t, on the surface appear to detract away from their commitment to public service or conflict with their posts but not in every case. Also some civil servants are running outside businesses that could conflict with their government job and some are sitting as directors on much more lucrative and larger companies where there is clearly even greater potential for abuse. Many senior civil servants said they were directors of undisclosed companies and businesses but with the limited detail revealed it is not clear if they are or are not benefitting from their government positions. When government eventually implements the Standards in Public Life bill passed earlier this year senior civil servants will be required to reveal the details of all of their outside interests in a publicly accessible register. Anticipated to have been in place byJune this year there is still no word from the authorities how this register will work or where it wil be published. When it emerges however, It will only apply to those at the very top of the public sector. Some of the documentation released suggests that in order for the authorities to properly police potential abuse the registers may have to include much lower grades than had been anticipated. Under Cayman’s Freedom of Information law and in the spirit of as much disclosure as possible public authorities are encouraged to post on their website this type of information. However the only public authorities that have disclosed the full details of all of their staff’s outside interests on their websites are the officers of the information commissioner and the auditor general. (CNS): Almost 300 acres of land that was once home to the prison farm in the eastern end of the island could be leased to local producers for private farming. Government is considering a new initiative to break the land into lots to lease to farmers and gardeners and the Ministry of Agriculture is now making appointments to a new committee that will produce a draft policy relating to the land lease. The policy will address areas such as application requirements and eligibility to lease land, length of lease, lot size, water use plans and other related issues. Initial work underway includes surveying the site and reviewing the land capability of the areas that could be earmarked for lease. As the government is still in the process of determining the potential framework and criteria for the project, no reservations or allocations of land have been made but officials said there has been many expressions of interest after the subject was raised on a local radio show. The proposal calls for as much of the 282 acres of the property to be made available as possible and once Cabinet has considered and approved the draft policy, the public will be informed of the details, including the application process. The property currently houses the new Doppler radar, and although CUC wanted to use the land at one point as it was identified as a perfect location for a potential wind-farm, the radar prevented that from happening. 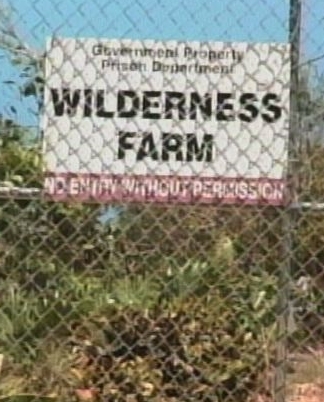 The rest of the land however was once part of Wilderness Farm, which was managed by the local prison service and where prisoners on day release worked the land. However, the shocking and brutal murder of 21-year-old Sabrina Schirn at the hands of one of the inmates in 2009 while he was working there led to its closure. Randy Martin (now 42), who was at the time serving a ten year sentence for aggravated burglary and firearms offences, was convicted in 2010 of killing Schirn with a machete that he was using on the farm when she was believed to have visited him there to deliver drugs.